It is as if Jennifer Lawrence is not hot enough! 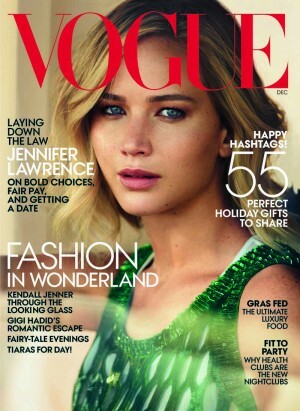 The star of Mockingjay is hotter than ever with her face on the cover of the December 2015 issue of US Vogue. The cover image was shot by photographer Mikael Jansson and was styled by Vogue Fashion Director Tonne Goodman. Jennifer Lawrence was photographed for the cover in a custom Calvin Klein Collection emerald green embroidered mesh tank dress, designed by Francisco Costa, the brand’s Women’s Creative Director. The December 2015 issue of Vogue magazine is available on newsstands nationally on Wednesday, November 24th. For more information, please visit www.vogue.com.